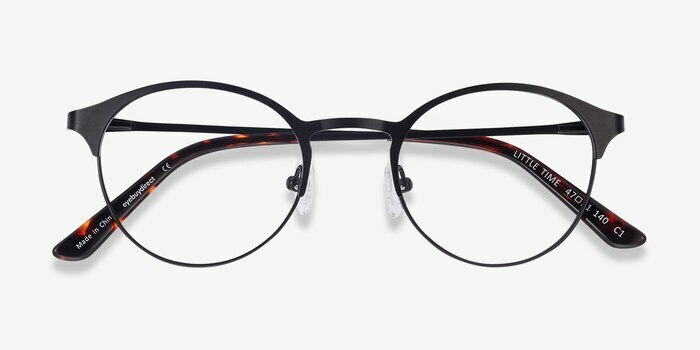 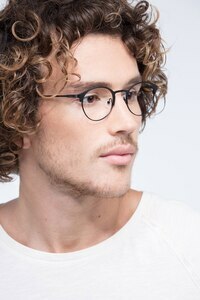 Be perpetually trendy with these black eyeglasses. 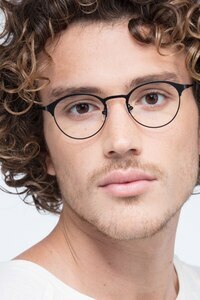 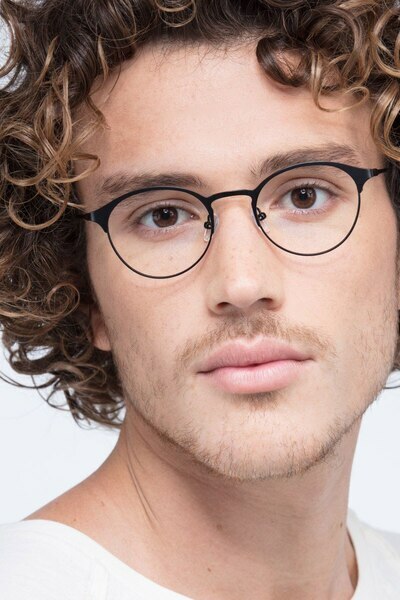 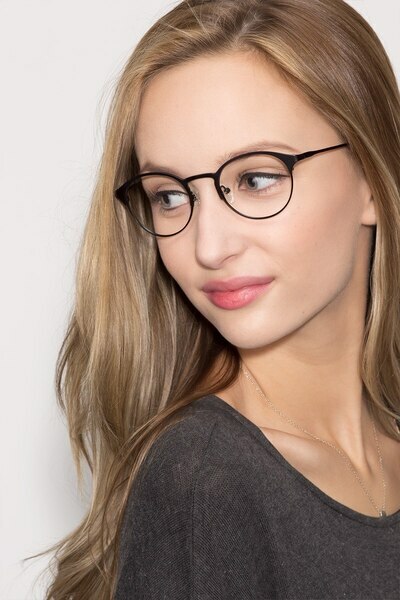 This perfectly round shaped frame comes in a matte black finish throughout and features an emphasized brow line with subtle keyhole nose bridge. 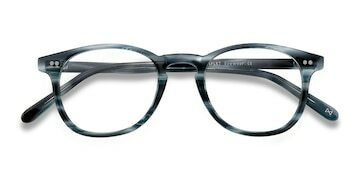 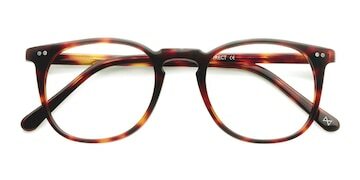 Semi-transparent tortoiseshell acetate tips complement the style. 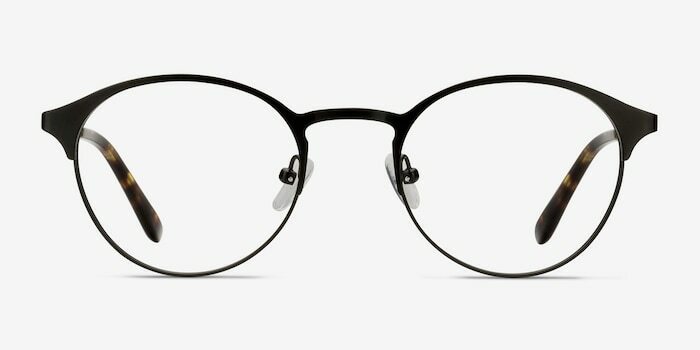 Adjustable nose pads and flexible spring hinges make this look adaptable to both men and women. 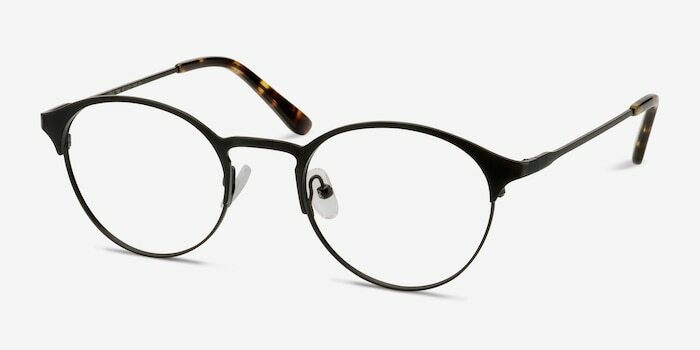 My glasses are just as I ordered. 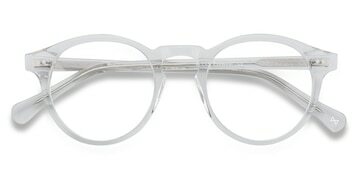 Slow getting to you! But it was worth the wait! 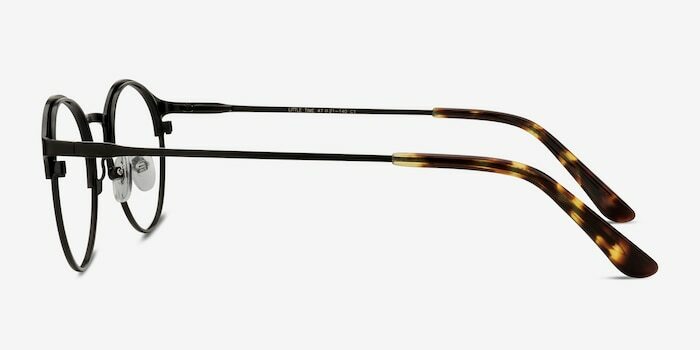 Handsome glasses, but I got myself a wrong P.D.